Tuesday: Today we spent some time at a girls high school. It was incredible how happy they were about our visit. 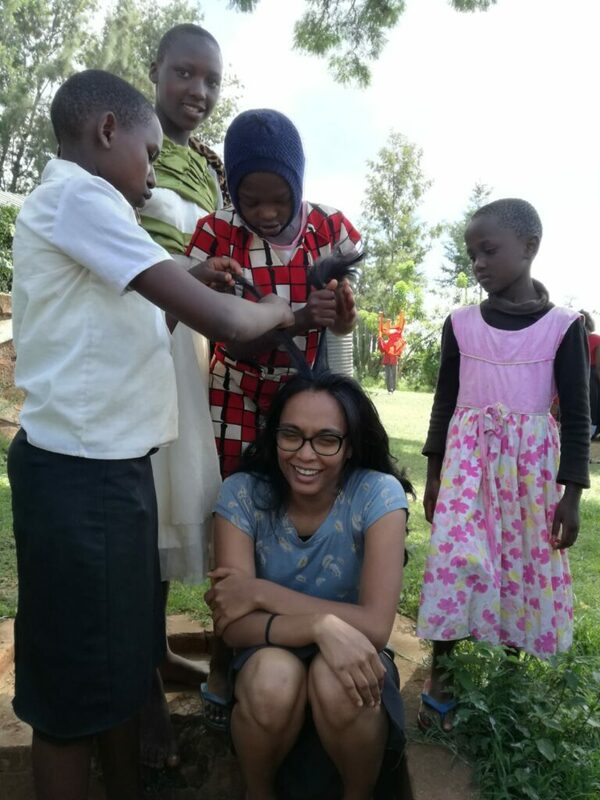 The girls on the team were once again often surrounded by girls touching their hair. In small groups we talked about identity and our self-esteem. In the following personal conversations we were confronted with topics like racism and the feeling of being inferior to Muzungus (whites). It was difficult to hear the big lies told to these wonderful people. But, as one student said: “I am grateful that I can be here to tell them that you don’t need a white brain to become a doctor or a lawyer”. Wednesday: Today we were in a school for deaf children. 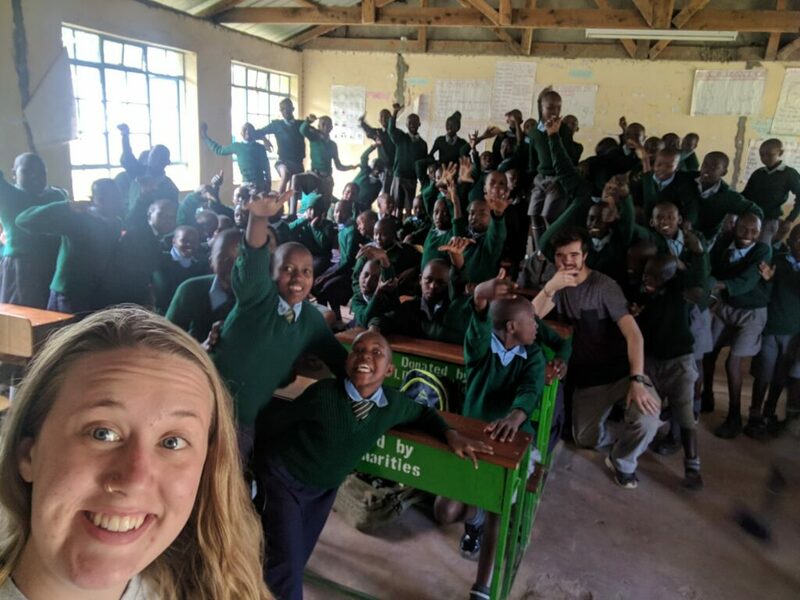 It was a challenge to teach them something without speaking Kenyan sign language, because most of the team had very little or no American sign language skills. 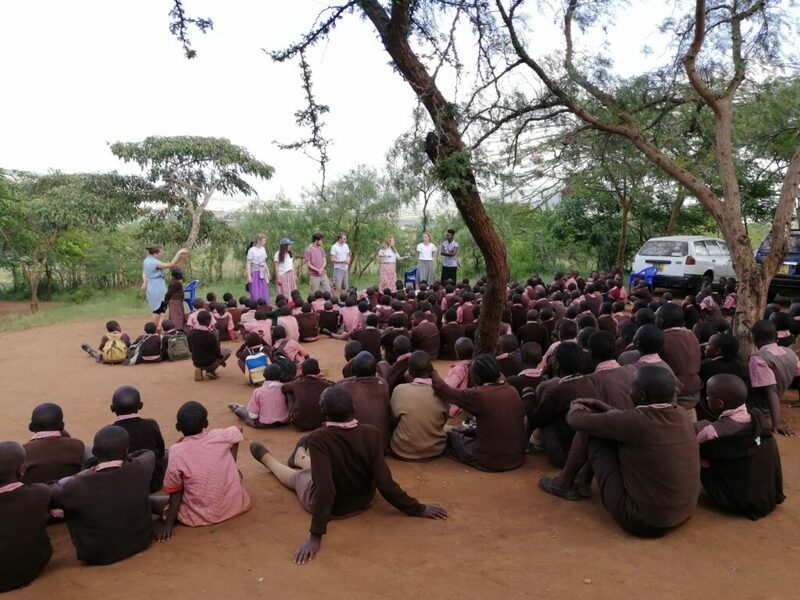 Despite the communication hurdle, the children were enthusiastic and attentive to the programme we were doing. There were about 150 children and it was an honor to see them worship God and pray. Thursday: Today was a special day. At 13:00 12 people crowded into a small vehicle. Kenyan music played in the background. After about 45 minutes our bus stopped at a gate. It was opened and we drove through. We saw many mud huts and children running around. It looked like a small village. We went through a second gate and were welcomed by the boss in a friendly manner. Another gate was opened. And we were led into the prison. The prisoners stood there. Nobody shouted or whistled . They stood there, formed rows and treated us with dignity! As we went on, we were amazed at what we saw. They sang. They stood in rows and sang. Our expectations were exceeded. The place we thought it was full of darkness and depression was filled with peace and joy – despite the circumstances. The prisoners sang. They danced for God. They were men with incredibly beautiful voices. With a smile on their faces, they worshiped our God. At the end we all danced. Although we had a guard that separated us from the prisoners, we danced together. It was hard to say goodbye. Friday: This morning we were in a primary school. There we could see the Kenyan flag being hoisted. We told the story of David and Goliath while the children played them. At the end we all prayed together and said goodbye. In the afternoon we went to another high school on the top of a mountain. 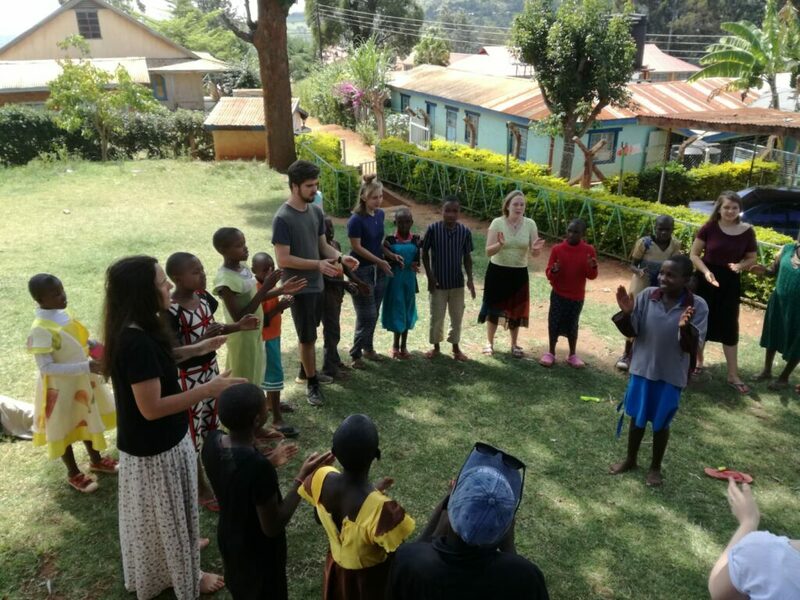 The children there are visited every Friday by a YWAM team and were therefore already used to the “Muzungu” (whites). Nevertheless, there were many shy and curious children who were happy to see us. We sang with them and did a skit. We told them stories from the Bible. When we went home, down the hill, we heard a thundering after about 10 minutes. We turned around and saw 100 little children running down the hill. We were met with wave after wave of hugs and high fives. It was a hot, exhausting and yet wonderful day. Saturday: In the morning we got into a small van and made our way to an orphanage. When we arrived, the kids helped us carry our bags and we got tea and breakfast. 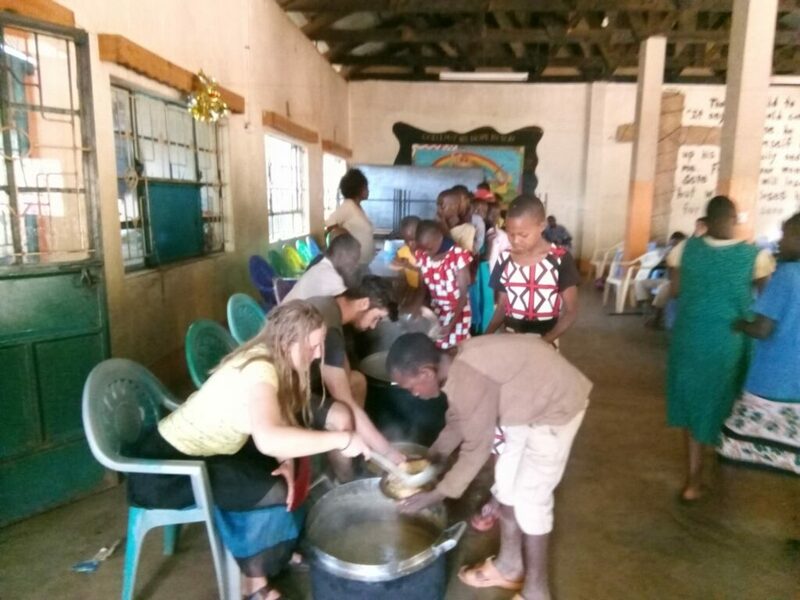 Then some of them took part in the cooking and others played with the children until lunch. After lunch we had the opportunity to divide into small groups in order to carry out an age-appropriate program. We were especially impressed by the hospitality we received, and we were spoiled with soft beds and good food. We are grateful to have been part of the orphanage family for a weekend. Sunday: We had the opportunity to visit a high school two minutes away with over 1,300 young men. When we went to school, we felt a little like David in front of Goliath. Nevertheless, we enjoyed the opportunity and waited for our God to show up. Right at the beginning we were allowed to be part of their passionate worship. 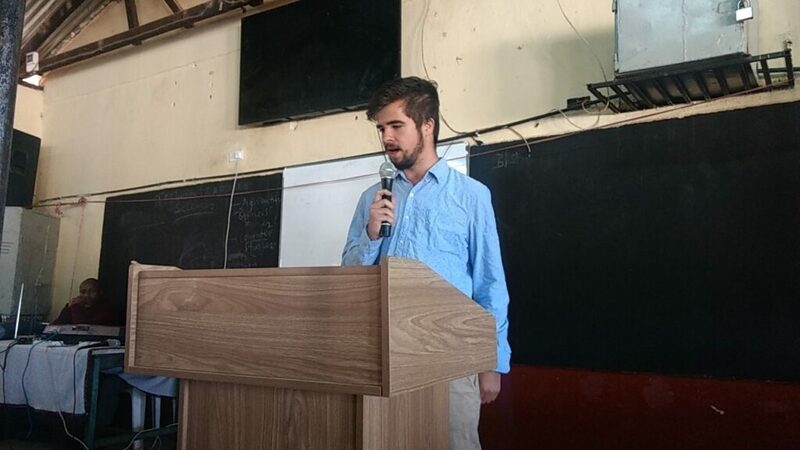 Afterwards Ezie and Andrew shared their testimonies and a friend – John – preached about integrity and love. Finally, we invited them to come to prayer. After initial restraint, as time went by, more and more boys streamed forward. We prayed with them from the bottom of our hearts and had to fight to be heard against the African “background music”. It was an incredible experience. 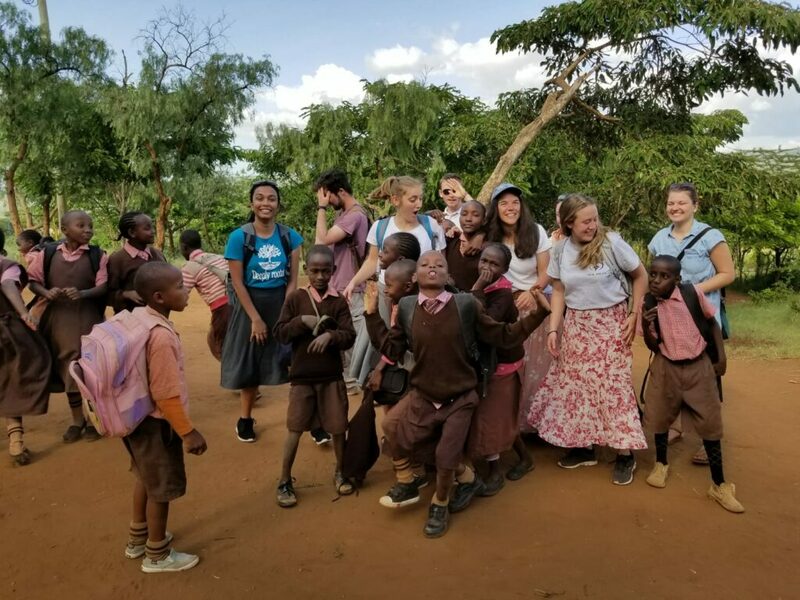 As one student said, “I prayed more today than all of last year.” After we left the high school, we again enjoyed the good food in the orphanage. In the afternoon, we sadly said goodbye to the orphans and piled ourselves back in the small van for the journey home. This week was filled with challenges, surprises and adventures. It was a blessing to be a part of it and we are excited to see what awaits us next week!